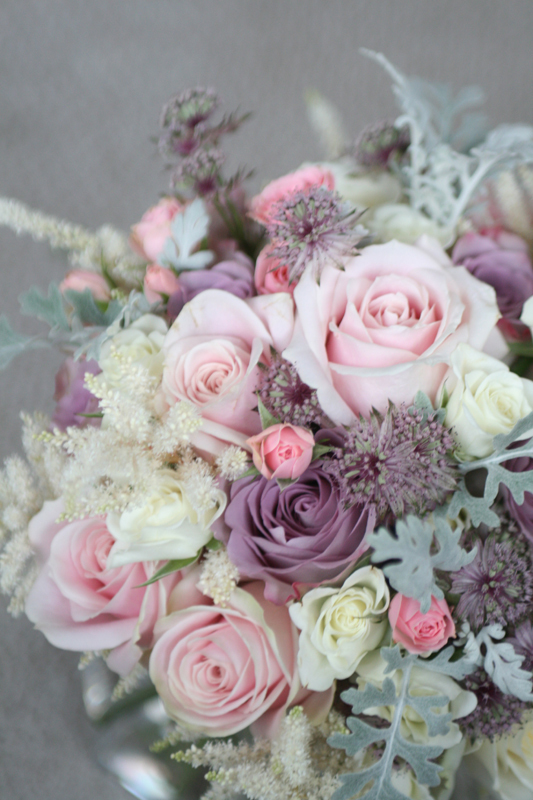 I love the vintage look and spend lots of time looking into flower varieties, colours and textures which I think will work well together. 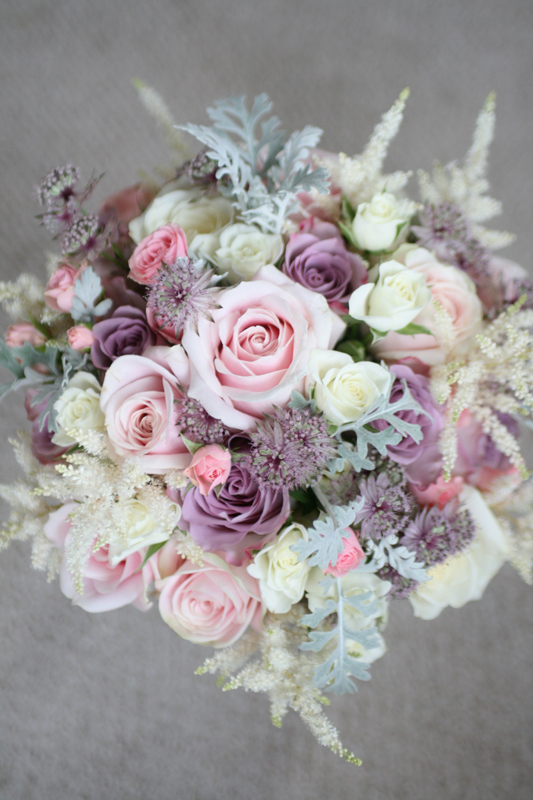 This bouquet, created for one of our brides, includes 3 varieties of rose, 2 varieties of spray rose, deep pink astrantia, astilbe and senecio foliage from our garden. Edel contacted me after seeing a picture of one of our bouquets on our website and asked me to recreate something similar for her which I was delighted to do. Congratulations Edel & Barry.